This album was sent to me a while back and has been steady in my iPod since. The time has passed and I have meant to write a review on it eons ago, however, I think it’s never too late to share good music with the masses. Upon first play of Water by Gregory Porter, I felt like I should have been in the middle of a Spike Lee movie declaring my love from the top of a brownstone balcony. And Gregory’s album would, of course, be my theme music playing in the background. His voice is very reminiscent of Nat King Cole to me and it is no secret he is one of Gregory’s favourites. That deep, sultry, yet sometimes gruff voice, delivering spot-on lyrics along with the crescendos and horn solos. He never misses a step. The introduction into his world with “Illusion” is a quiet one. The opening is a delicate piano riff and his melancholy voice is all you need. The second track “Pretty” is where he comes alive. The bass line at the beginning is alluring and I hear a Terrance Blanchard influence in there. The horn solos are magical and this stands out as one of my favourite tracks. The uptempo “Magic Cup” and “Black Nile” both keep you on your toes rhythmically and “Skylark” brings you right back down to earth again, to gently swoop your lover in your arms for that ever loving, inescapable two-step. The piano solo alone on “Wisdom” is incredible and if that is not enough, Gregory’s voice is impeccable. One of the longest tracks on the album “1960 What?” is a fevered and aggressive story about the Detroit riots. “But Beautiful” and “Lonely One” are both simply beautifully crafted downtempo tracks. However, he’s not done with the ‘slows’ as yet, and shines vocally on the album title track “Water.” I truly believe ending the album with an a cappella of the classic “Feeling Good” was definitely the way to go. No instruments needed, just the one he was blessed with. I would be remiss if I didn’t clearly state that the influences of the greats (particularly John Coltrane) are heard loud and clear throughout the album. Nonetheless, Gregory Porter managed to take all of the influences and make them his own. Which of course, is the most important feat for any artist to stand out on their own. To learn from their predecessors and incorporate the teachings into their own work, all the while keeping their vision and personal artistic flair is not easy. Gregory’s singing abilities, instrumentation and lyrics all come together with ease, without coercion. It’s a wonderful thing. Jazz, soul, funk – whatever your fare, I know you will enjoy this album as much as I do. 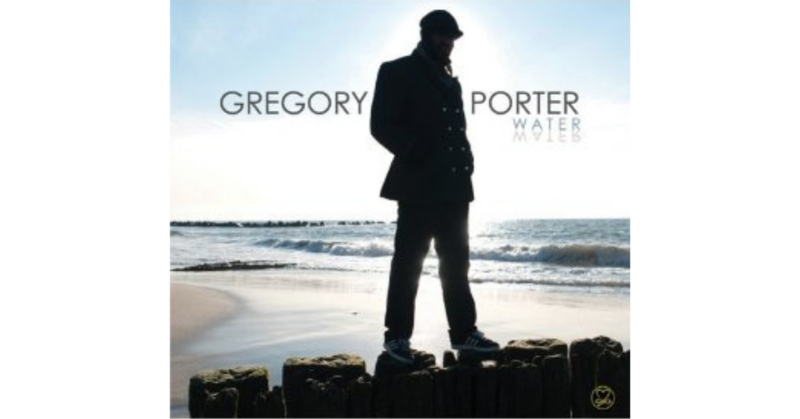 Be sure to check out Gregory Porter here.